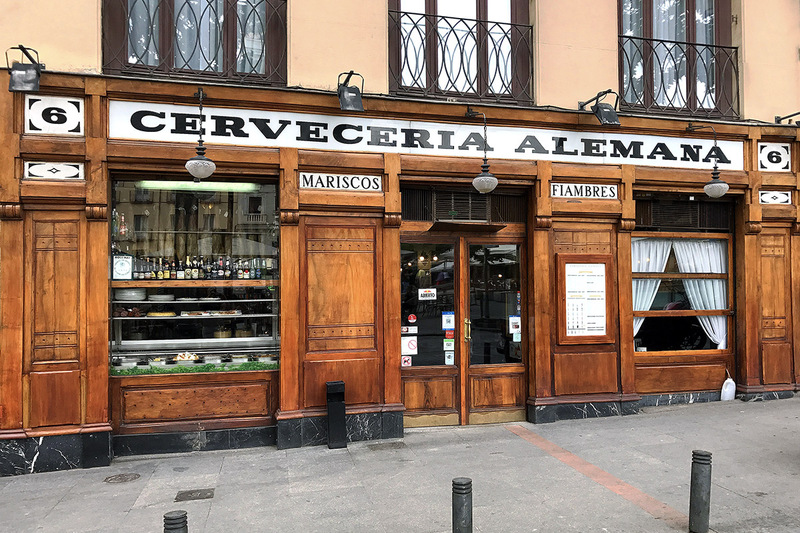 Madrid, Spain travel photos — Hey Brian? 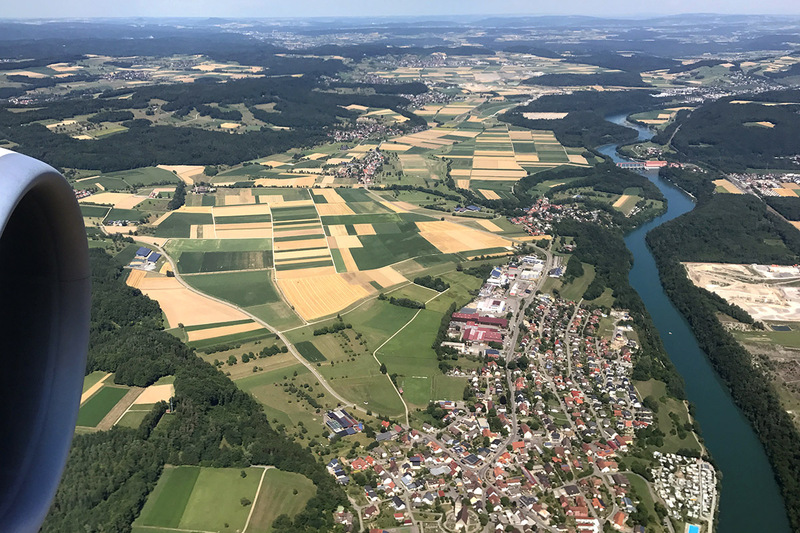 I arrive to SFO a bit early, clear security and head to the United Club Lounge in the international terminal, concourse G. I board Swiss 39 and we take off at 8:10pm and arrive in Zurich the next day around 4:00pm. 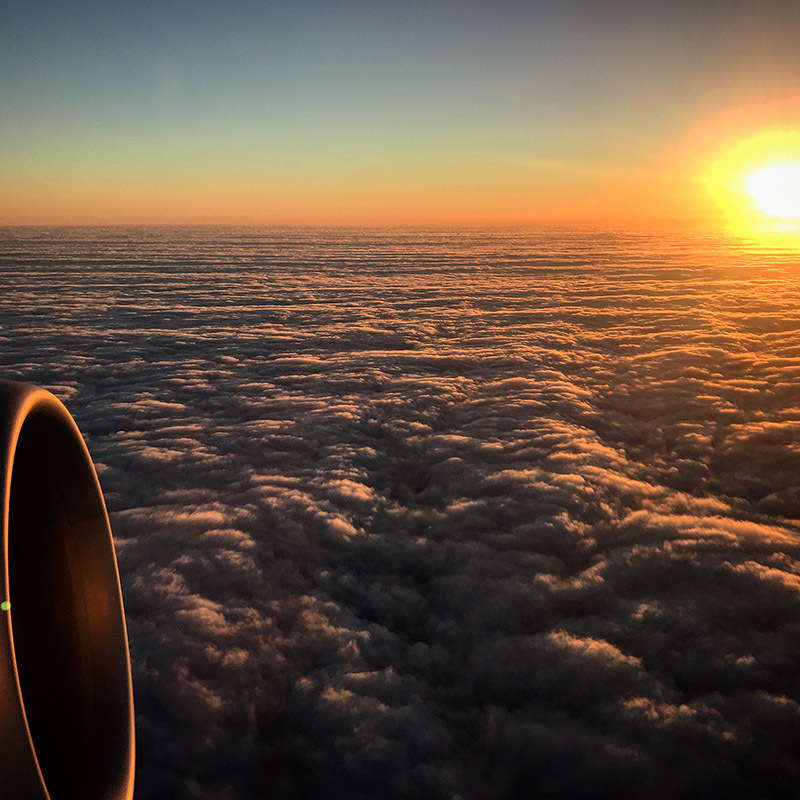 It was a great flight, in business class, no less. Thank you United miles. In Zurich I chill in the SWISS Senator Lounge for a bit and then board Swiss 2032 and we take off at 4:40pm. The sitting next time raves about Swiss chocolate and hands me a box. We land at MAD Aeropuerto de Madrid-Barajas Adolfo Suárez in Madrid around 7:00pm. I clear immigration, grab my bags, walk through customs and hail a taxi. I am dropped off downtown at The Westin Palace. I check in and take my first walk around Madrid. 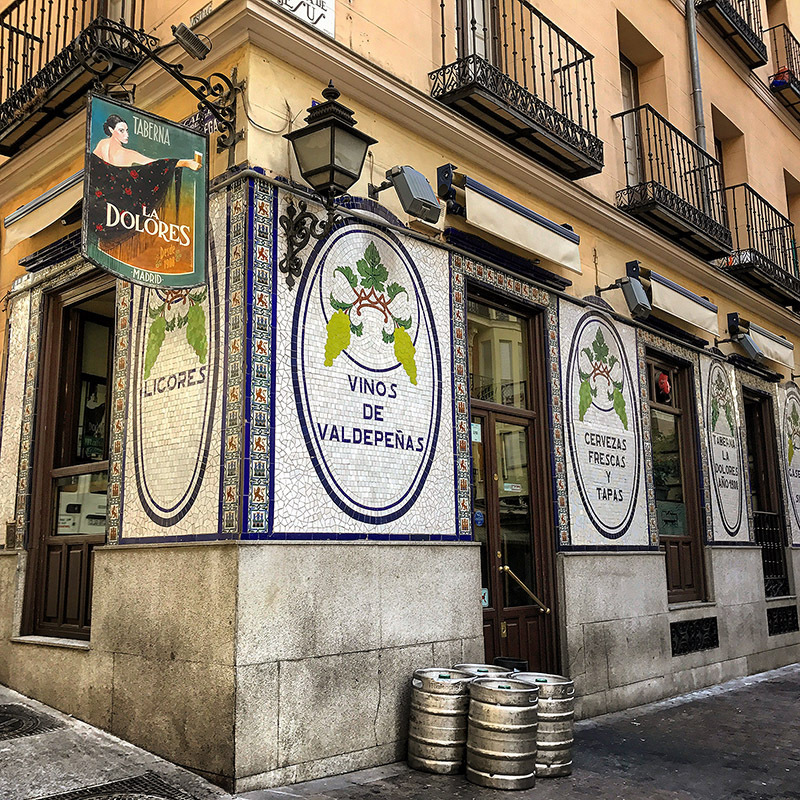 I grab a drink and tapas at La Dolores. I then walk up Carrera de S. Jerónimo towards Plaza Puerta del Sol. Many folks are about enjoying the evening. I am happy to finally be in Madrid. In the morning I enjoy the Westin breakfast buffet. I'm just floored at how much better hotel breakfasts are in Spain, and Europe in general, than in America. It's not even fair. I take a morning walk, heading east, and first stop by the Ritz hotel and visit its decadent lobby and bar. 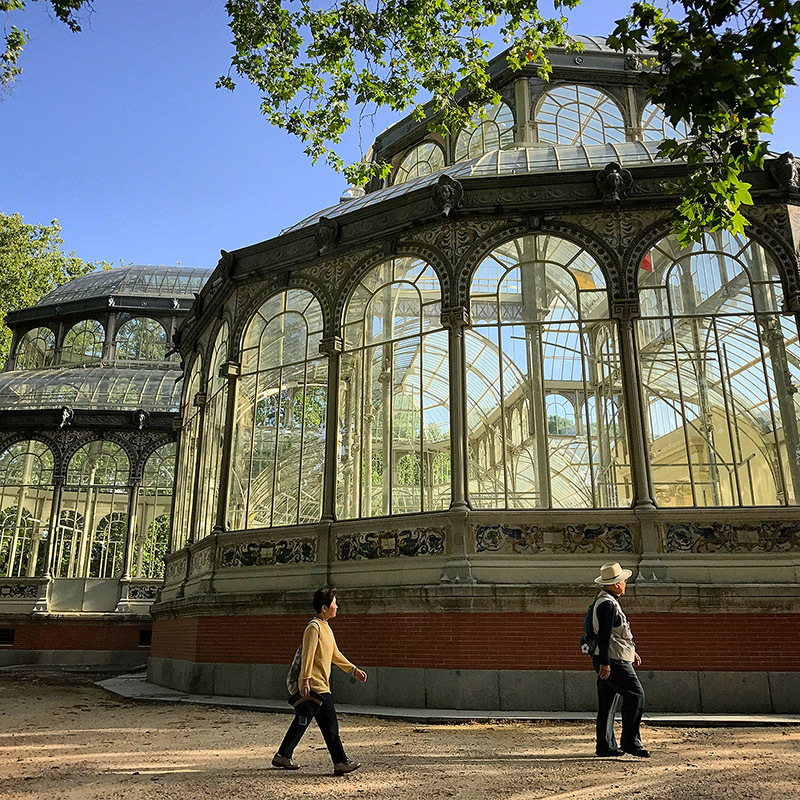 I then enter the Parque del Buen Retiro and wander around until, by chance, I found the Cristal Palace in the center. I head back to the hotel, Strava logs 2.25 miles, not bad. 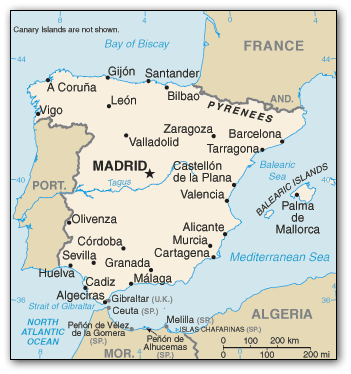 I head out again, this time heading west toward Plaza Mayor. 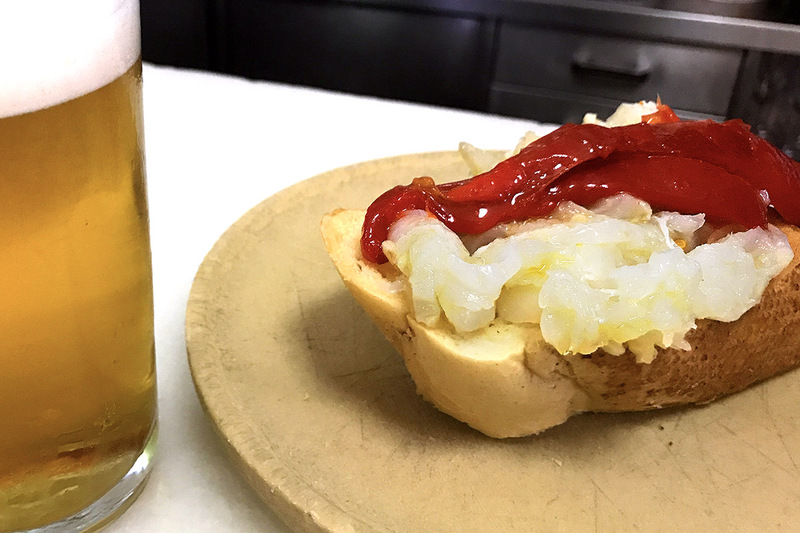 I visit Jardines de Sabatini and grab a bite at Cerveceria Cervantes. The complimentary tapa is a plate of steamed shrimp still in the shell. I continue to Plaza de Oriente and into the Catedral de la Almudena. I climb to the viewing terrace on the roof of the cathedral for great views of Madrid in all directions. I descend down windy Cuesta la Vega, through the leafy Parque de Atenas and into the Manzanares River valley. I enter the Campo del Moro Gardens and get lost for a bit and end up at a dead end with no exit. I backtrack and head to the the Parque del Oeste to see the relocated Egyptian Temple of Debod. The sky turns a deep gray and suddenly a torrential rain begins to fall and drenches me and everyone and thing else. I wait under some trees for a break in the rain to no avail so I decide to make a run back to the hotel. I am soaked within moments. Considering the weather said it would be scorching 99 degrees, this cool front was a welcome surprise. Back at the hotel, Strava logs 7.77 miles. What an outstanding walk. I change and head out for another walk south of the hotel down to the train station. 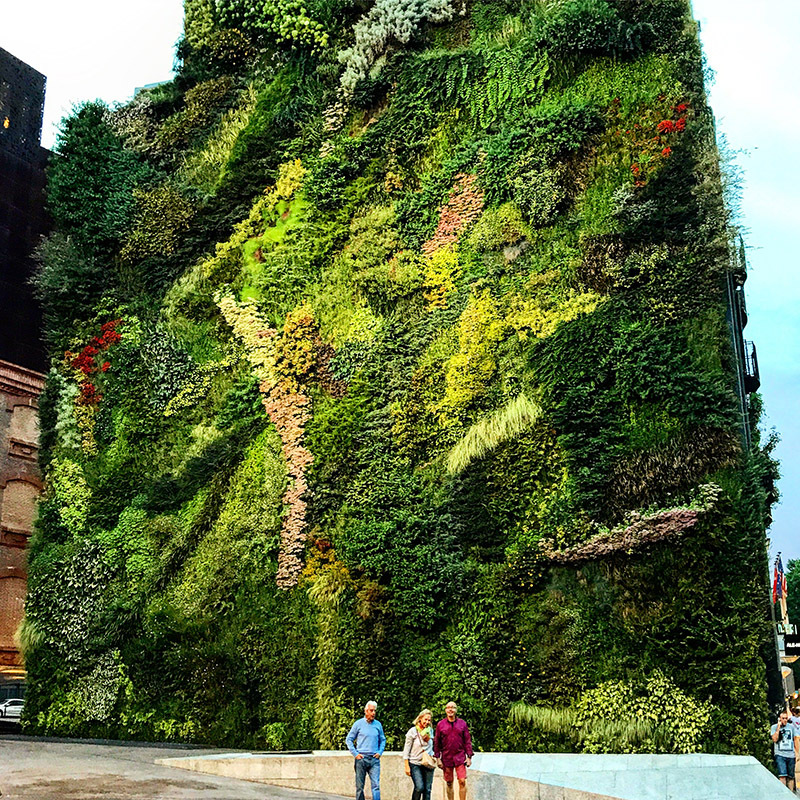 I pass the CaixaForum which is covered in the largest vertical garden I have ever seen. For dinner I head to the highly-rated La Descubierta and enjoy a beer and a salted-cod and marinated red pepper tapa. 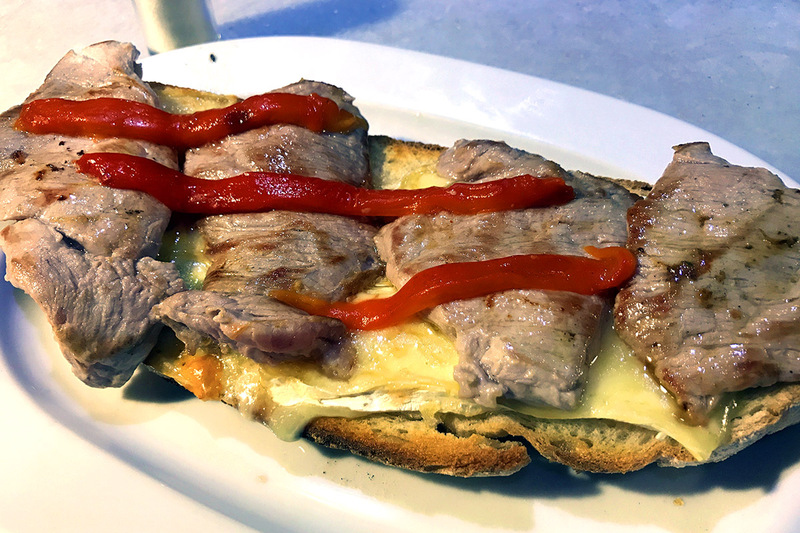 I then go for the gold with their tosta de solomillo Iberico, queso brie y pimientos, or Spanish sirloin with brie and peppers on toast. I am not as blown away as previous patrons with this dish but it definitely does the job. The staff are quite friendly. 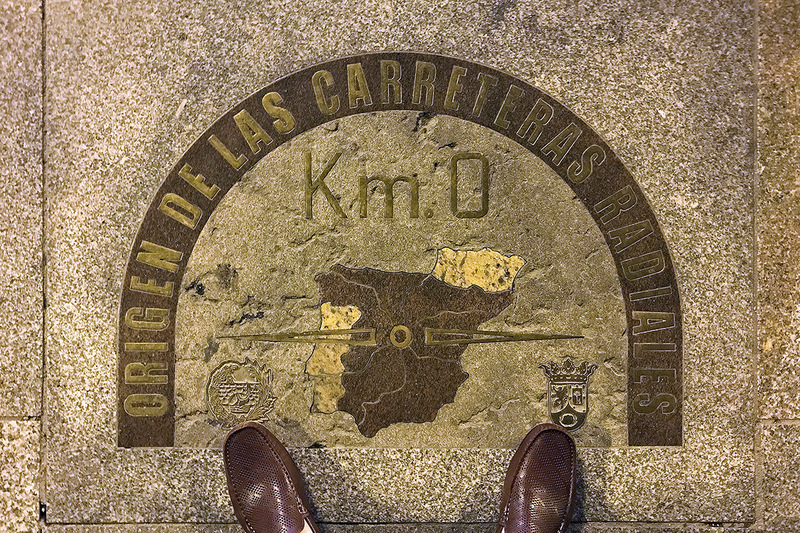 Aftern dinner I find the 0 kilometer mark in Plaza Puerta del Sol, where all highways in Spain officially begin. I then head back to the hotel and call it a good day. Jet lag on my side, I wake early, have an early breakfast and visit the nearby Museo Thyssen-Bornemisza. I especially enjoy the Portrait of Giovanna Tornabuoni by Domenico Ghirlandaio as well as its excellent collection of Impressionist art. They have van Gough, Cézanne, Picasso, Dali, Lichtenstein, the list goes on. 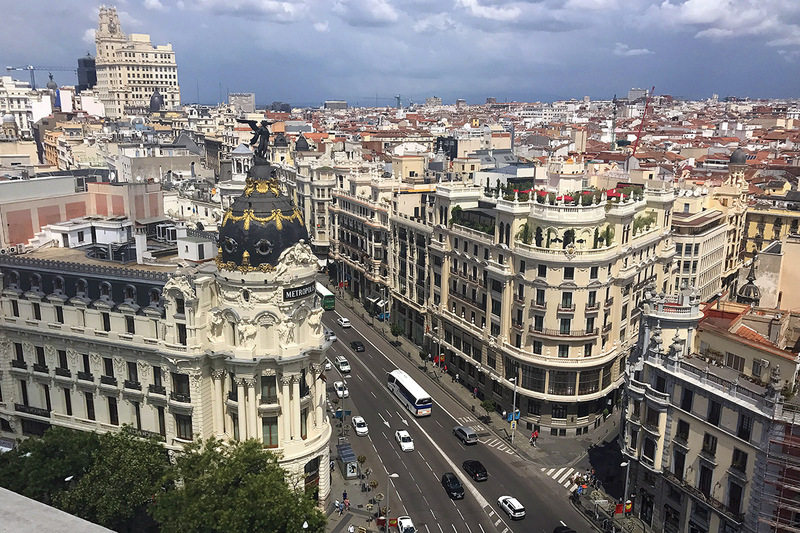 I walk along Calle Alcalá to the Circulo de Bellas Artes building, pay €4 and take the slowish elevator up to the roof top terrace, locally known as Azotea. A trendy scene unfolds with patrons lounging around quaffing hip cocktails and nibbling at small plates of food. 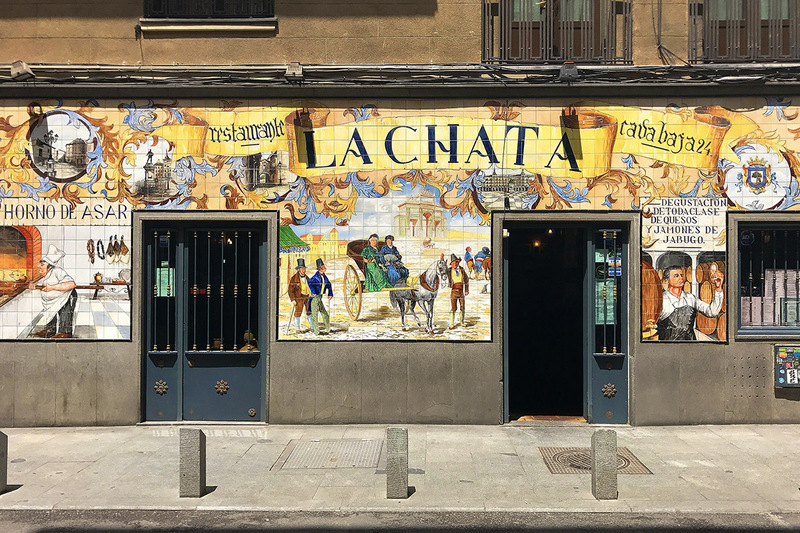 I head to the north side of the building and take some great photos of Gran Vía, Madrid's most central artery, the Metropolis building, and other great views of Central Madrid. I continue along Gran Via and into the Chueca neighborhood. There are many shops. I continue walking south along Plaza del Callao, a massive pedestrian shopping street. I stop at Jamones Julián Becerro and buy 500 grams of jamón ibérico. The server cuts the ham off the leg for me and places each piece neatly in it's own space on thin plastic film. I no sooner devour half of my serving of the cured meat and force myself to save the rest for later. 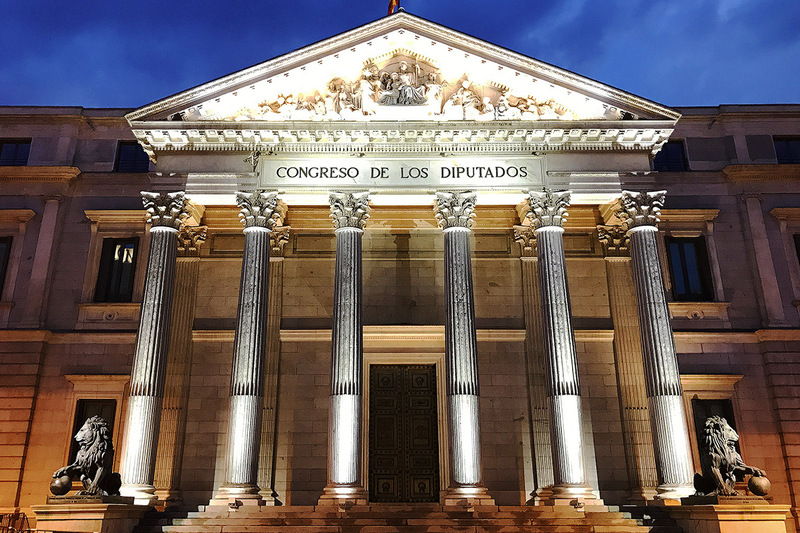 I wander around the ancient neighborhoods and head back to the hotel along peaceful Calle de la Concepción Jerónima, through Plaza del Angel, and then along Calle de Cervantes. it's another superb walk and one that ends my two days exploring Madrid. I check out and take a taxi to MAD. After security I visit the VIP Lounge Puerta Alcalá. The lounge is massive, modern and mostly empty. There are great views of the airport apron and various aircraft. Plenty of food, sandwiches, wine, beer and cold beverages are available. And clean bathrooms. I just wish lounges could be like this back home. In a good mood, I board Air Europa 6027 bound for Ibiza. We take off at 7:25pm.